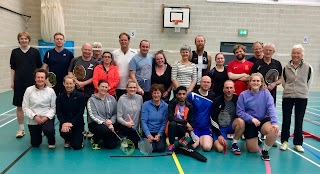 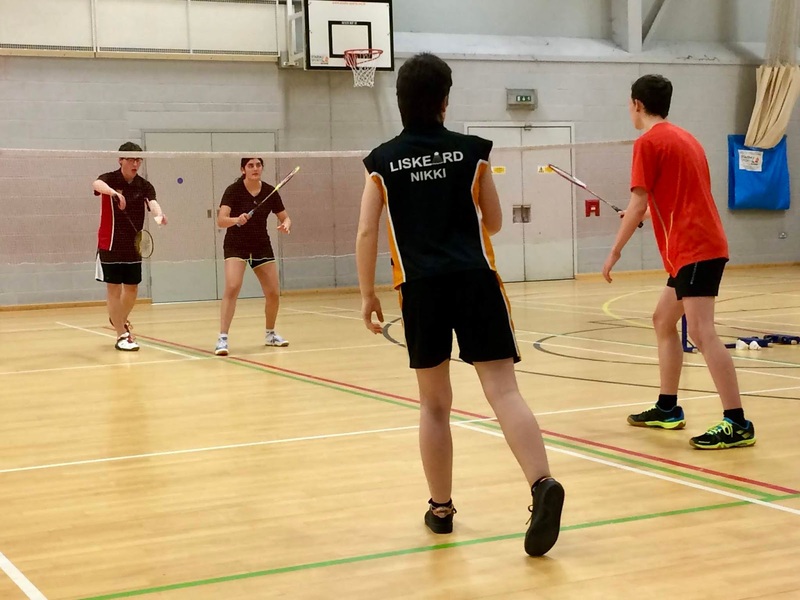 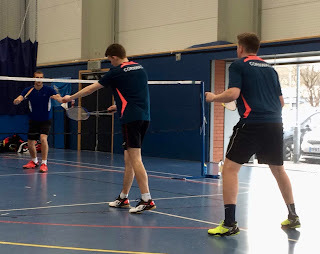 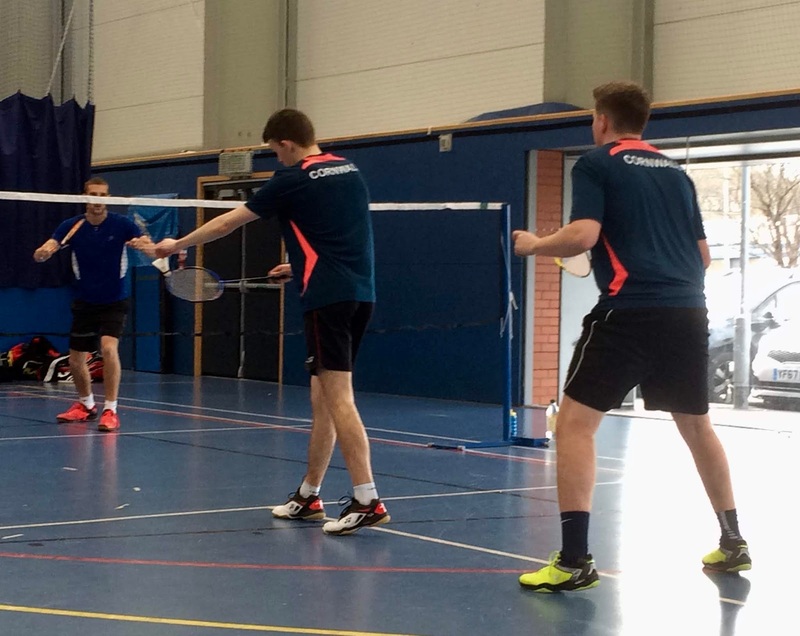 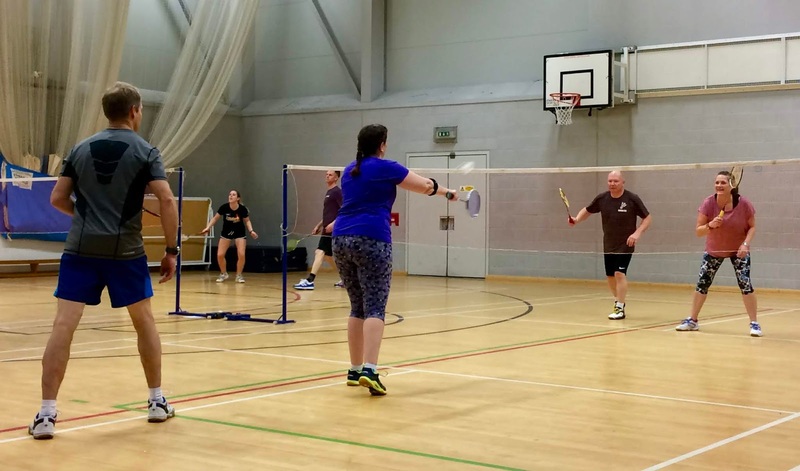 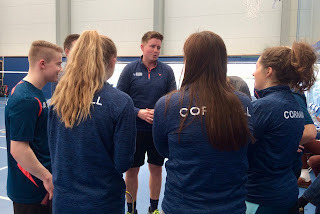 On Sunday, six social and league badminton teams from all over Cornwall took part in Cornwall Badminton Association’s inter-team Kernow Carlton Cup competition, run for the second year at the Sir Ben Ainslie Sports Centre in Truro. 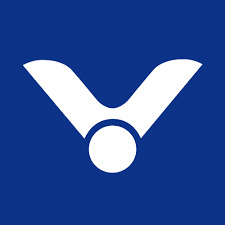 The teams all played each other in matches made up of men’s and women’s doubles plus two mixed doubles games. 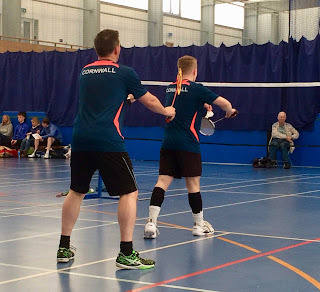 Following some hard-fought matches in the league format, the second and third placed teams had play-offs against each other, with Ozzell Smashers narrowly defeating their local rivals St Austell Bay by only three points to win second place overall, and then the Choughs team had a comfortable victory over the young Penair team for third. 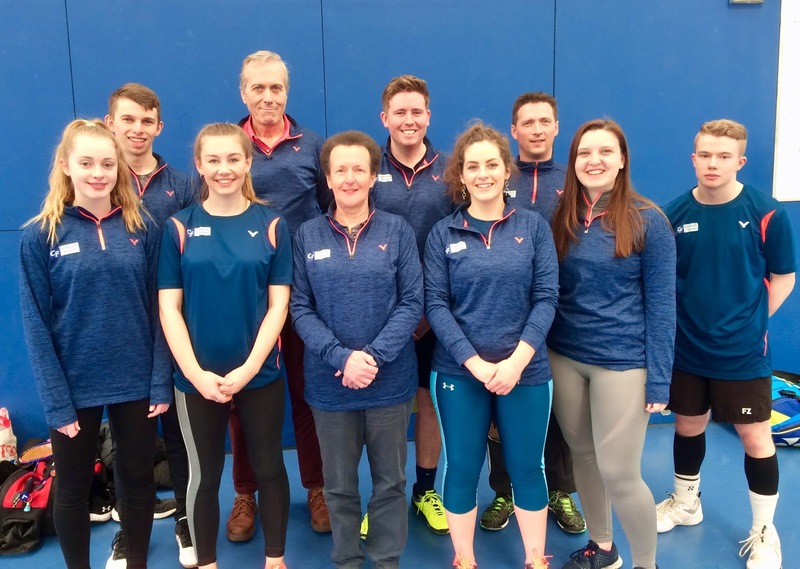 The final featured the top two teams, Truro and Tecans Angels, and was an exciting, close affair between two experienced teams. 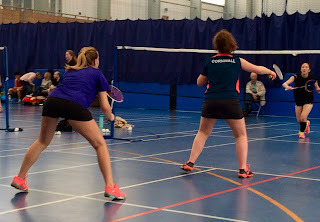 Truro took the women’s doubles after a tight two ends, and then just edged the men’s despite losing the first end. 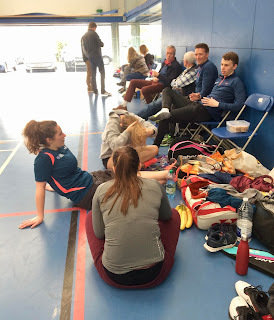 The two mixed doubles that followed were both enthralling games, with honours even in the first mixed, before Truro won the second mixed after a very close first end then a much more emphatic second, to finally give Truro victory overall by six ends to two. 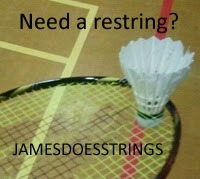 A fitting end to an excellent day’s badminton and a good end of season finale. 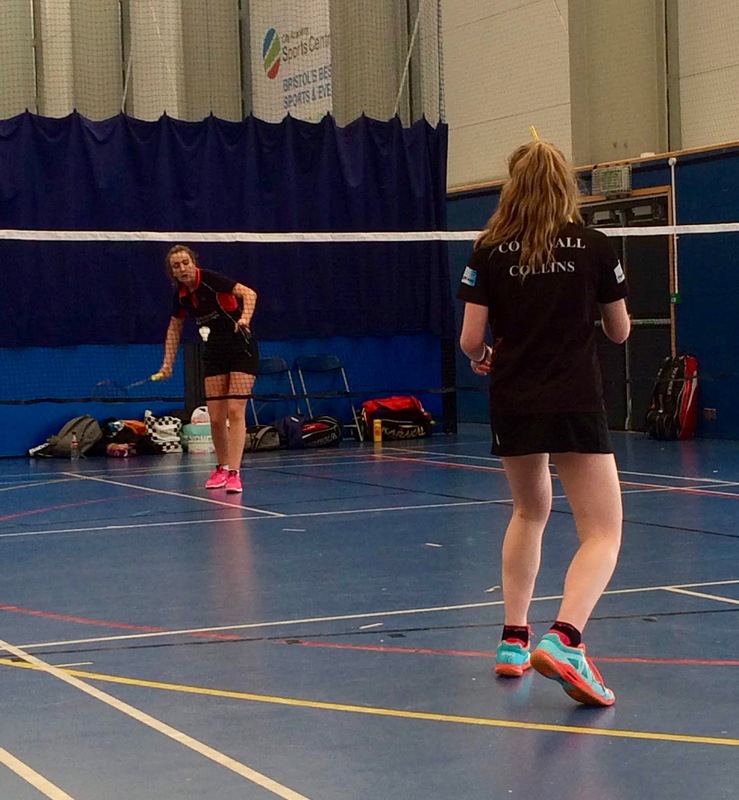 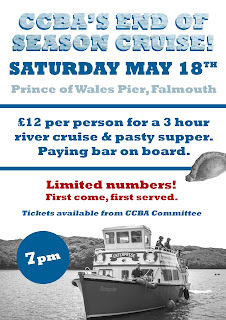 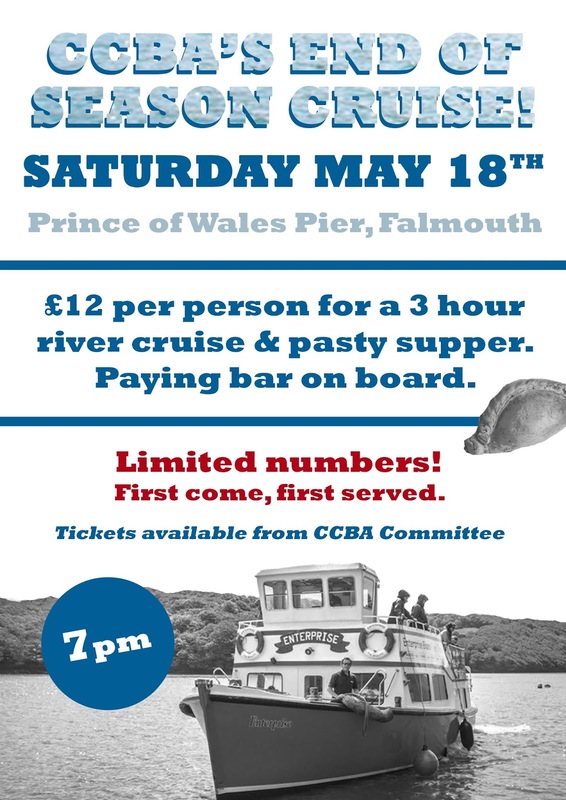 The teams - Tecans Angels (Pool), Choughs (Camborne), Truro, Penair (Truro), St Austell Bay, Ozzell Smashers (St Austell). 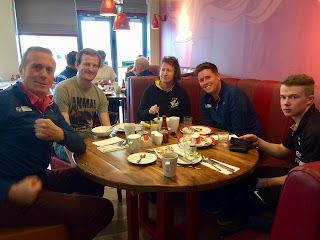 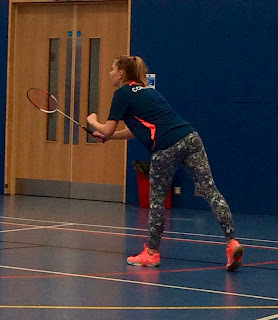 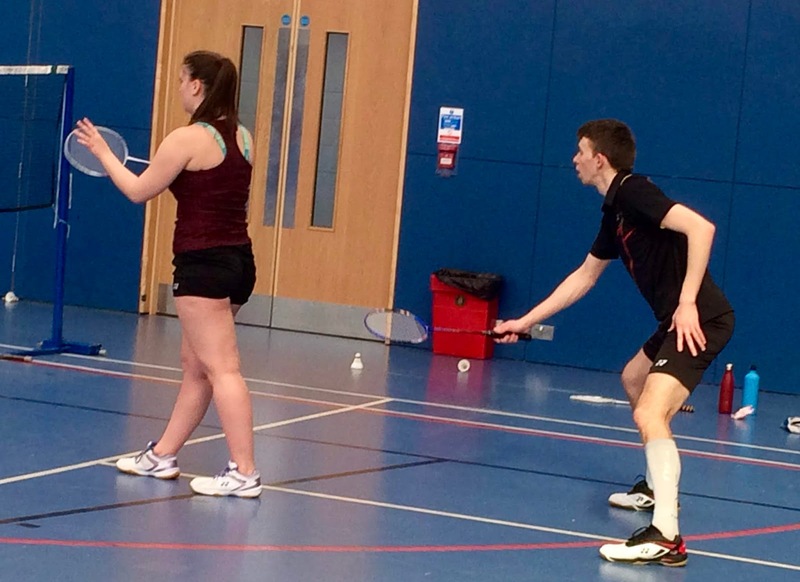 Mixed doubles couples from all over Cornwall played in this year’s Newquay Cup at Treviglas Sports Hub at the weekend with some exciting action across a wide age range. 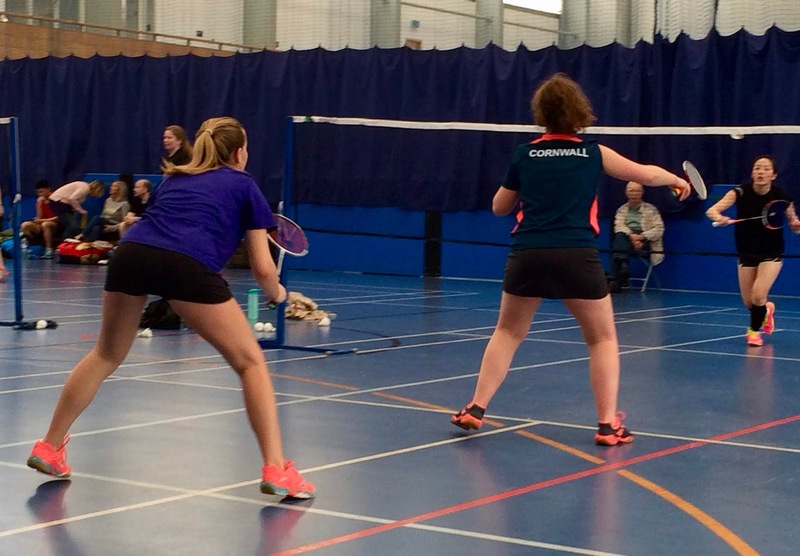 Players from Liskeard, St Austell, Newquay, Pool and Camborne took part in some close games, with some games featuring rivals from their own clubs to add to the tension. 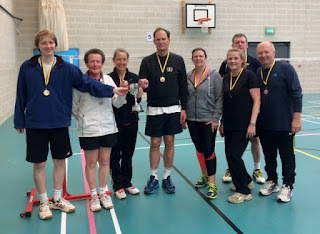 The game that decided this year's winners was the final one of the afternoon, between defending champions Pete Bazin of St Austell and his partner Lorna Riggs of Newquay and Truro, against Newquay's Paul Tooley and Jen Pugh. 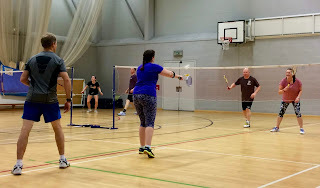 This proved a tense and exciting game, as Pete and Lorna edged a tight first end and then, early in the second, Pete was injured going for a backhand shot, but managed to continue and they held on to once again win the Cup by just 5 points. 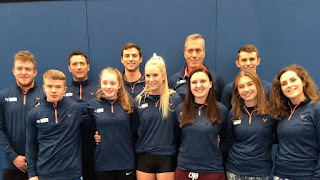 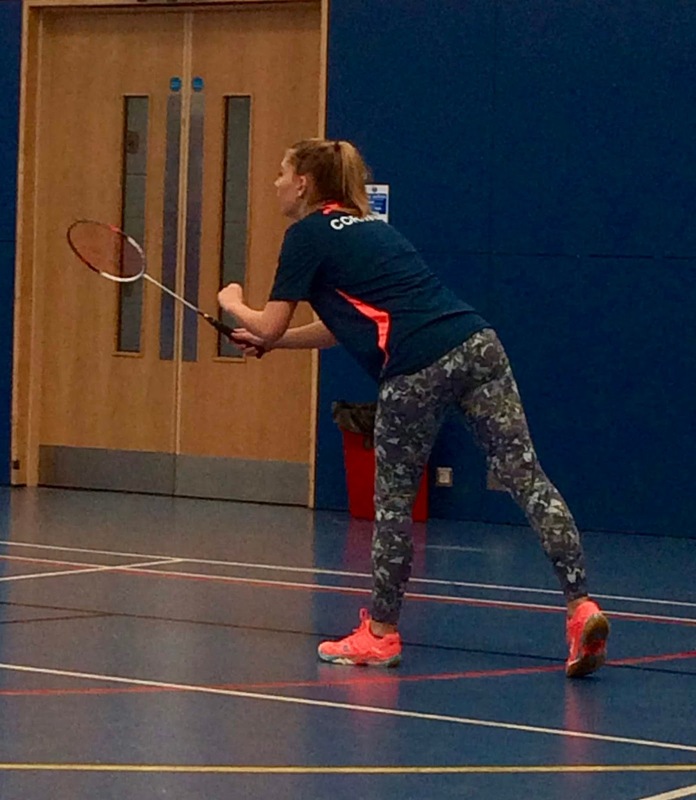 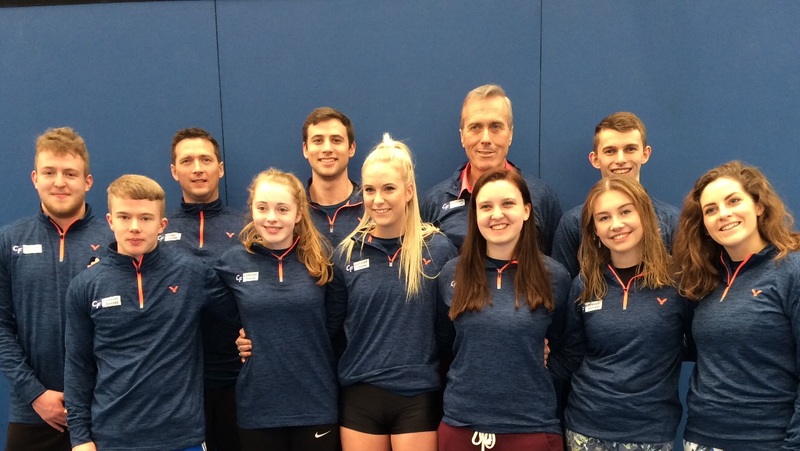 Cornwall’s top badminton players travelled to Bristol at the weekend to play the next set of matches in Badminton England’s South West Division Senior Championships. 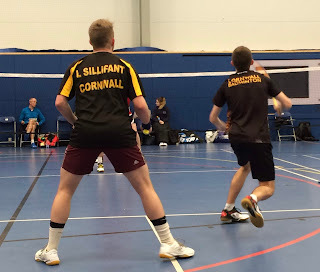 The team, smartly kitted out in a new strip sponsored by Cornwall Fascias, had a tough first match against a powerful Devon 1st team featuring an ex England international and higher ranked players. 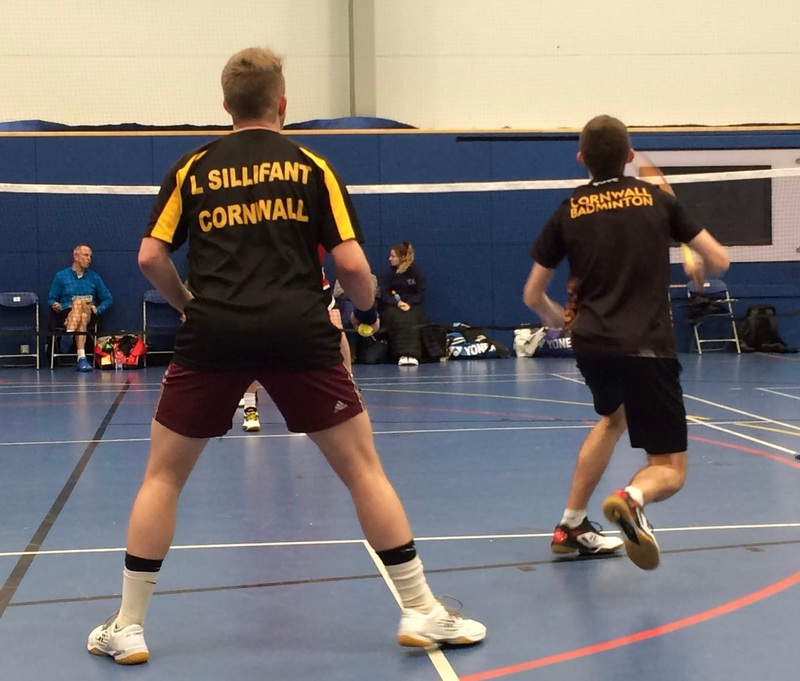 Despite two three-enders by a battling James Whetter and Kellen Moore in the men’s and women’s singles, the Cornish team suffered a heavy defeat.